Dakshin Haryana Bijli Vitran Nigam which is also known as DHBVN is an electric utility company serving in India. Owned by the Government of Haryana and is founded in 1999. 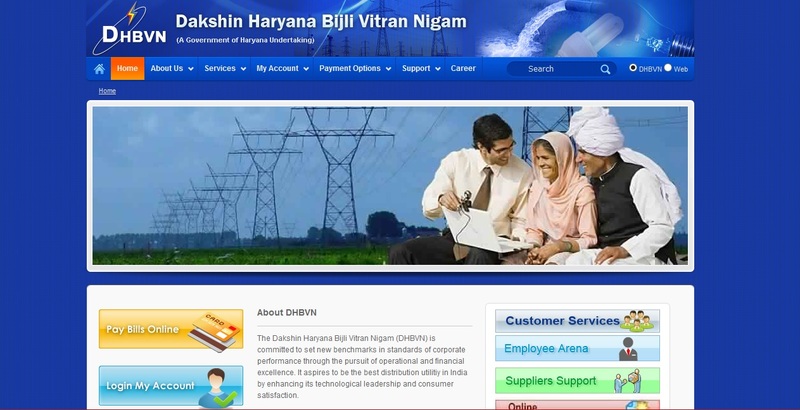 DHBVN is responsible for providing power to the major areas in Haryana including Hisar, Gurgaon, Faridabad and many more cities and villages. But for using the above online services, you need to register at dhbvn portal then only you will be able to use the above DHBVN services. 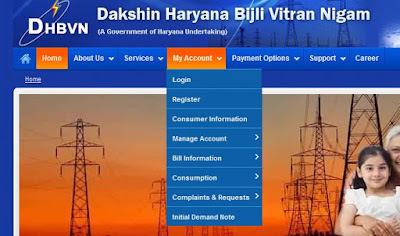 The process of creating an account at the DHBVN website is very easy and anyone with a Mobile/Pc with internet connection can do that easily. Step 1: Go to The DHBVN website by Clicking Here. Step 4: Click on the Register text from the options that appeared. Account Number: Just type in the Account Number as Given on Your Bill. SBM Bill Number: Type in the SBM Bill Number if you have any. Bill Number: Enter your latest bill number that you just have received. Don't get confused with the SBM Bill Number option, Just leave it blank and fill the Bill Number instead. DHBVN has only asked one of them. Step 6: After that you can click on the Submit button and it will take you onto next step. You will find many of details already filled there, you just have to Enter your Mobile Number, Email Id and Choose a Password for securing your DHBVN account. Thats all for these steps, you have now created your DHBVN account and can use their online services such as Online bill payment, Electricity Load Extension and many more services. The details for that account will be mailed to your entered E-mail id shortly. 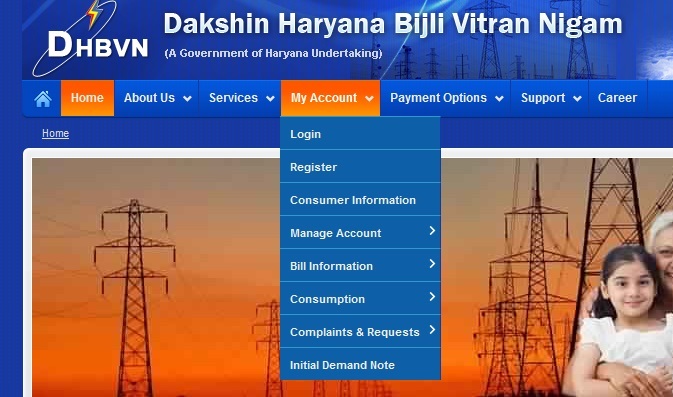 Thanks for reading the blog, I hope it will help you in registering your account at the DHBVN portal to use Online Electricity Services. Share it with your friends and Family as Sharing is Caring. I haven't received my first bill till now from last 3 months and even unable to register on DHBVN online portal as because of that SBM Bill Number. Can you please help me what exactly is that SBM Bill Number? If you have your Account no. with you then you can go to the Paytm app and find your bill number there. Just enter your account number and contact no. there. After proceeding it will show you the complete details of your bill. This migh not be your DHBVN Bill Number. Check your latest bill and in the top right block you will find it. The bill number contains 15-16 digits. 6. Then press PROCEED button.